BBC Four is currently repeating Jim Al-Khalili's documentary, "Shock and Awe: the Story of Electricity", which was first broadcast in 2011. 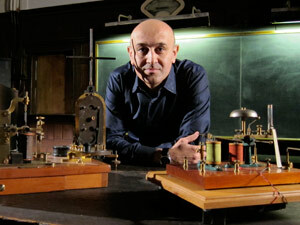 The first episode is devoted to 18th-century discoveries. Catch it if you can, before it disappears from i-player as it is a brilliant programme - the camera work is stunning throughout. There is no gimmicky docudrama, just Jim recreating the original experiments in a load of unusual locations: Charterhouse and the Royal Society in London, Leiden and the University of Bologna. 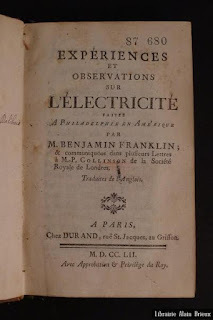 Buffon was not particularly interested in electricity, but when Franklin's little book fell into his hands, he saw an opportunity to score against his enemy Réaumur whose protegé the abbé Nollet, had opposed Franklin's theories. 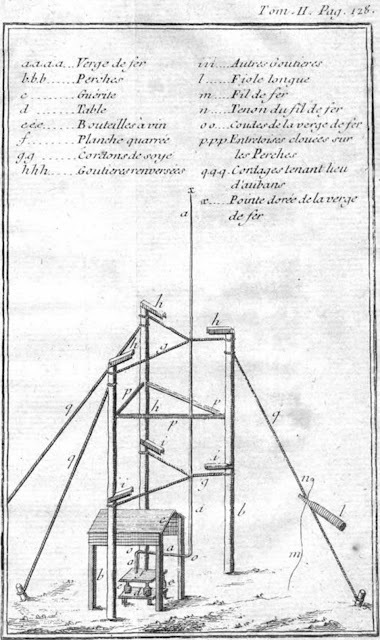 Buffon's schoolfriend and collaborator, the botanist Thomas-François Dalibard translated the book into French with an insolent Avertissement attacking "hack physicists". 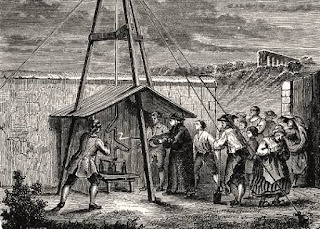 The two hired a public demonstrator in "experimental philosophy" called Delors to repeat Franklin's earlier experiments. On 3rd February 1752 Louis XV himself was invited to a demonstration, hosted by the duc d'Ayen at St Germain-en-Laye. 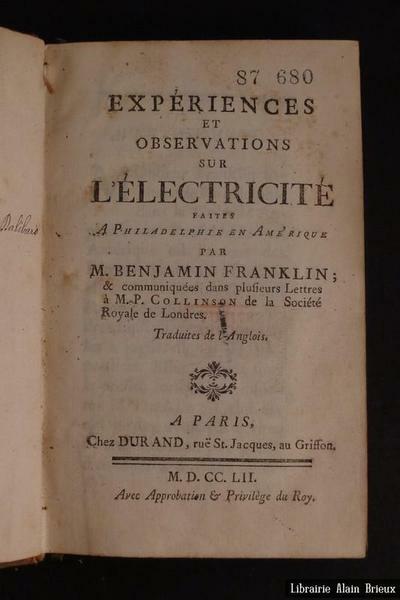 The monarch was so appreciative that it "excited in Messieurs de Buffon, d'Alibard and De Lor, a desire of verifying the conjectures of Mr. Franklin, upon the analogy of thunder and electricity". Dalibard had previously installed a small laboratory in the grounds of the house in Marly where he lodged and it was here that he set up his insulated pole in early May 1752. On 10th May it thundered in Marly. The former dragoon charged with the experiment, whose name was Coiffier, ran to the pole and presented to it a brass wire stuck into a glass handle; he was the first man ever to see a spark drawn intentionally from the sky. Coiffier alerted the curé, Raulet, who repeated the experiment "at least six times in a period of four minutes, each trial lasting as long as "a pater and an ave". 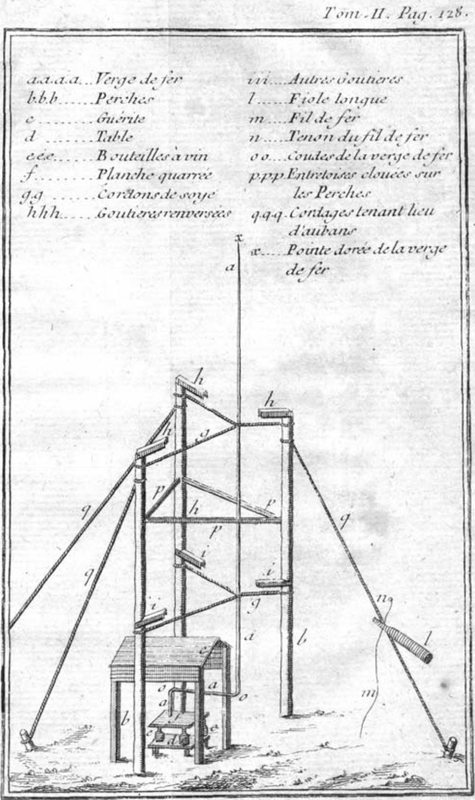 On 13th May Dalibard reported the Marly test to the Academy of Science. There was now no doubt that lightning was indeed electricity. News of the triumph spread rapidly. The furious Nollet, who had not heard of Franklin, thought at first that the great man was Buffon's malicious invention. In June 1752 Franklin himself famously (though possibly apocryphally) confirmed the findings by flying a kite in a storm, with a key attached to it by a silk ribbon. Once the ribbon became wet, he was able to generate a spark and charge a Leyden jar from the key. Although Franklin now diverted his attention to politics, his lightening rods were soon set up in Philadelphia and Boston. Nollet was forced to give up his attacks on Franklin, who was accepted by the Academy of Sciences and became the darling of French society. I can now report, Monsieur, the news that you have been waiting to hear: the experiment has been carried out. Today at twenty past two in the afternoon, thunder was heard directly over Marly; it sounded quite strong. My desire to serve you, and my own curiosity, took me away from my armchair where I had been reading; I hurried to Coiffier's house, meeting on the way a child whom he had already dispatched to fetch me. I redoubled my pace in a torrent of hail. I arrived at the place where the bent rod had been placed, and advanced slowly towards it with the brass wire. When I was an inch and a half away, the rod emitted a small blue column of fire which smelled of sulphur; it hit the end of the wire with some force, making a sound as if the rod had been struck with a key. I repeated the experiment at least six times in a period of four minutes, in the presence of several people, and each test lasted the the time it took to recite a pater and an ave. I tried to continue but the effect diminished gradually; I approached closer, but produced only a few sparks, and finally nothing at all. The thunder which had started events was not repeated; a heavy storm of hail brought an end to the proceedings. 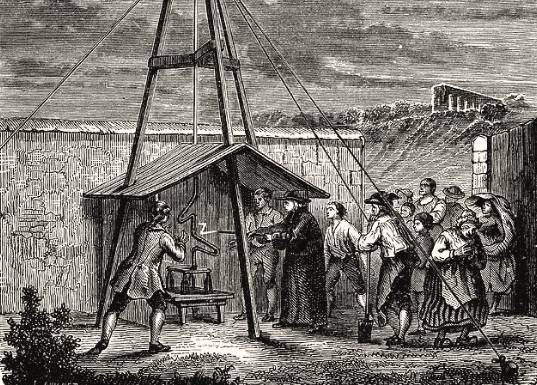 In the course of the experiment I received a shock on my arm just below the elbow; I was too preoccupied with what I was doing to be able to say whether it came from the rod or the wire. I did not complain at the time, but since the discomfort continued, on my return I uncovered my arm in the presence of Coiffier. We observed bruising right around it as though my naked arm had been struck by a blow from a brass wire. Leaving Mr Coiffier, I met the Vicaire, M. de Milly and the Schoolmaster, to whom I reported what had happened. All three were certain that they smelt an odour of sulphur which grew stronger as they approached me. I still had the smell about me when I arrived home; my servants pointed it out without me mentioning it to them. Such, Monsieur, is my account. It is written in haste, but I vouch for its veracity and will testify to the events whenever I am called upon to do so. Coiffier was the first to perform the experiment and he repeated it several times; it was only afterwards that he sent for me to come. If other witnesses are needed besides him and me, I am sure you will find them. Coiffier is anxious to leave. Raulet, Priest of Marly. 10th May 1752. J. L. Heilbron, Electricity in the 17th and 18th century (1979), p.348-50.